I don’t receive many presents. But then I give presents even less. Maybe it’s better that way. Receiving or giving presents can be a sad occasion. I remember the times when I was browsing book stores for hours, pondering what book to give to someone. Years later they still hadn’t read it. It was just as sad when somebody gave me a voucher for a seafood restaurant or when people bring a bottle of alcohol with them, not knowing that I don’t drink any. Or receiving a pullover when I am just about to move to the Sahara. Or a large painting in a heavy frame when I am going to move to Argentina next, with nothing more than two bags. Most of these mishaps occur because those giving a present either don’t think at all and just give what they like, assuming that everyone has the same taste, or they think of what the other person should like, or of what they would like if they were the other person. This rarely works. It can go so far that giving a present, which looks generous, becomes a rather self-centered act where the person giving the present tries to impose its will on the recipient, e.g. by suggesting “you better read this book” or “you better wear this shirt” or “your apartment better be adorned by the painting I drew”. It’s a form of coercion. In the case of an invitation to a circus gala which you wouldn’t really have wanted to see, it’s even robbery. It robs you of your time. “You are making this present-giving business so complicated, I ain’t gonna give nothing to nobody no more,” I hear you say. That’s one solution. But there are more solutions for those who still want to give (and receive) something. Give money. Everyone will find it useful and they can spend it on what they truly want or need. But I agree that it looks a bit unromantic, and on a date it could even be misinterpreted. Give something that everyone needs. I wish it was socially acceptable to give bread, milk, frozen pizzas, carrots and other things as presents which everyone needs. Of course, this can still mean different things to different people in different places. In a war zone, you might even give bullets. If I have to think of one universal thing that everyone needs, it is toilet paper, which has theadditional advantage that it won’t expire. Even if 10 people bring you 10rolls each, you know you’ll use them eventually. Ask people what they want. This one is really easy and should be the minimum of courtesy among civilized human beings before going to somebody’s place with a box full of undesired stuff. If somebody is too shy or too polite and will say “oh no, you don’t need to give me anything”, you’ll reply “I know I don’t need to, but I want to. So what on earth do you want?” If they still pretend to not have any wishes, you don’t get them anything and they will receive a free lesson about the effects of being too polite. The next step from there on is a wishlist. Put together a list of things (or non-things) which you’d like to get. Those who want to give you something will be happy, knowing that they definitely won’t give you anything which you won’t enjoy or use. It is pure coincidence that this post is published 2 weeks before Christmas. This entry was posted in Books, Economics, Life, Philosophy and tagged birthday, gifts, presents. Bookmark the permalink. 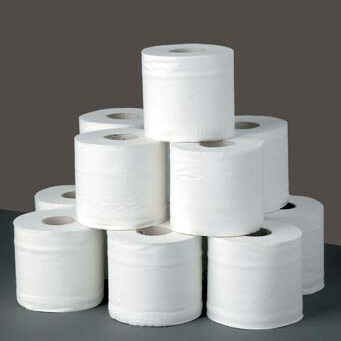 If everybody did that, toilet paper could become the new money. It just wouldn’t be practical. Though I am sure that in a country experiencing a hyper-inflation, there wouldn’t be much difference between toilet papet and paper money. Maybe that’s even the historical origin of paper money. Will tobacco a good gift for you? Sure, if it’s in the form of cigars. I understand the Koreans give toilet paper at housewarmings, and canned Spam is a popular holiday gift. That’s very practical! No presents that will go unused like all the stuff you get elsewhere.